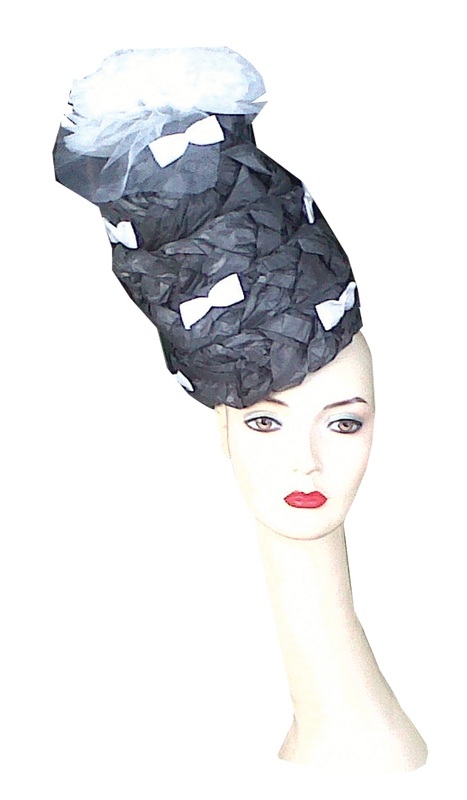 Here we hope you will be inspired by all decades of great millinery design to create your own fantastical head gear out of paper. No matter if you are mad about Jackie O's pillbox hat or dream about the Ascot scene in 'My Fair Lady', maybe you adore Marlene Dietrich's 30s feathered and veiled fancies or Doris Day's bucket hat, this workshop will provide expert stapling, paper, scissors, double-sided sticky and masking tape advise to make you look like a retro star. a variety of other workshops across the weekend, from fashion to upcycling classes; turn old records into trendy clocks or cake stands, take a tapestry workshop, snazz up old china with transfers, renew old clothes by learning how to ‘make new and mend’ or even revamp old furniture. 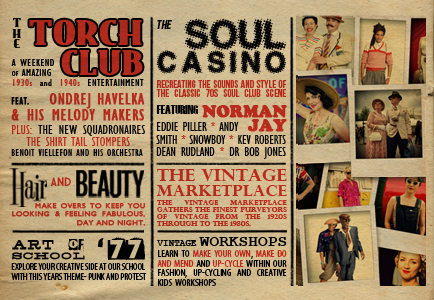 The Festival will take place from 11th-12th August 2012 which is VERY soon, so if you haven't got your ticket yet book soon, put on your best vintage frocks and come on down because the music is fantastic.